Digital photography camera reviews: fine art, landscape, and panoramic photographer Nicholas Hellmuth describes his experiences testing medium format digital cameras (Leaf, Phase One, Hasselblad), large format digital cameras, Canon EOS and Nikon digital SLR cameras. 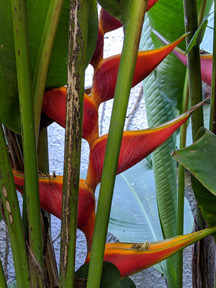 Photograph by Paulo Núñez, with the Huawei Mate 20 PRO. 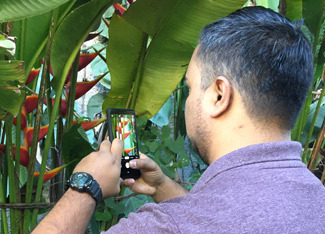 FLAAR has an iPhone Xs and a Google Pixel 3 XL exclusively as lightweight portable cameras for using on field trips. These phones take nice panoramas (better quality than the Osmo Pocket; but the Osmo Pocket is helpful for video in a remote area where it would not be realistic to have heavy video equipment). 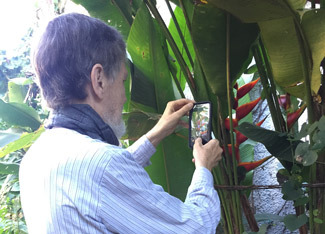 But when Paulo Nunez (web master for FLAAR Reports and FLAAR Mesoamerica) showed me a snapshot he had taken of an insect in the FLAAR Mayan Ethnobotanical Research Garden (around our office in Guatemala City), I could not believe the macro quality. 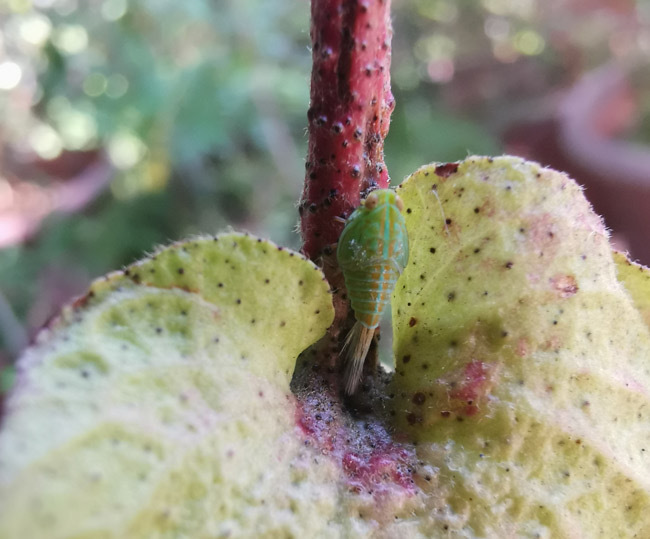 When I went outside to see what size the insect was, it was so small I could not find it without putting on my glasses: only a few millimeters long (less than a centimeter). 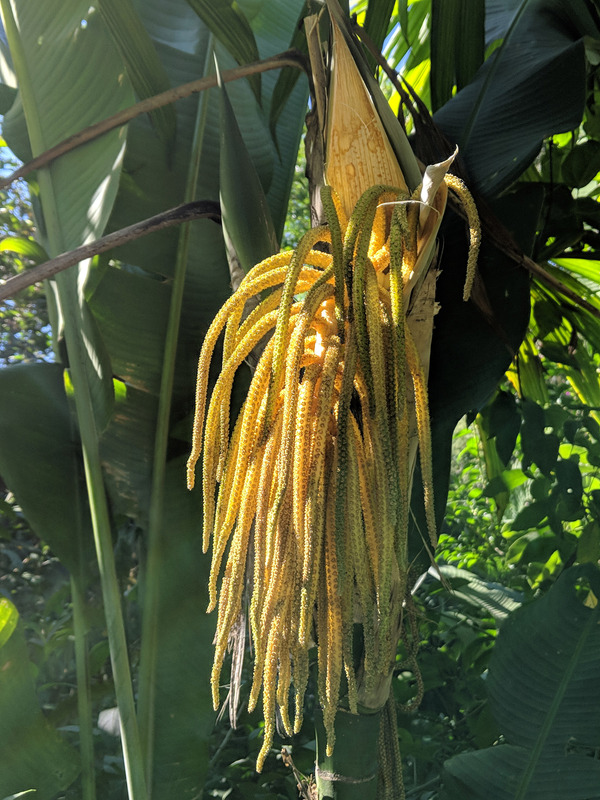 I love my iPhone Xs camera and the Google Pixel 3 XL takes multi-layer panoramas (look at www.maya-ethnobotany). But the Huawei Mate 20 Pro beats them. Our next acquisition will be the Huawei P30 Pro. I hope that Apple can launch a smart phone with significantly better macro, and noticeably better telephoto, plus multi-row panorama options. 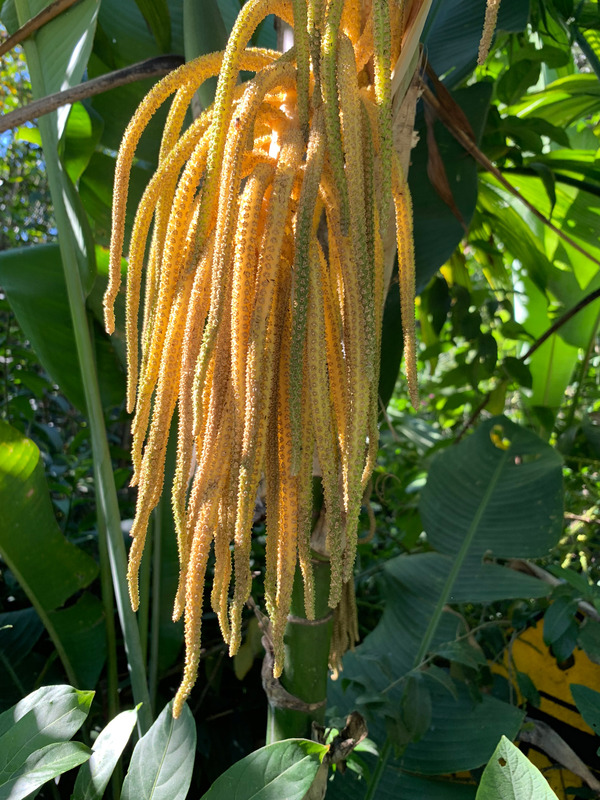 Which is better camera for photographing tropical flowers? Point-and-shoot or iPhone Xs, Google Pixel 3 XL or Huawei P20 pro? Our first photos of Mayan temples and pyramids in 1961, was a Leica III (probably IIIG or whatever). Then Rolliflex by 1965 at Tikal at age 19; then Hasselblad by 1969; then 4x5" Linhof, then 8x10" Linhof to photograph Puuc, Chenes, and Rio Bec temples, palaces and pyramids in the 1990's. Then Leaf and Phase One (on Hasselblad). Now Nikon D5 and Canon EOS 1DX Mark II. But when the iPhone Xs smartphone camera came out, I was tempted. Then Paulo (FLAAR Mesoamerica webmaster) suggested the Google Pixel 3 XL. Then he got the Huawei Mate 20 pro. We have two initial review comparisons: first on iPhone Xs vs Google Pixel 3 XL. We will be doing more testing in coming weeks. Dozens of species of waterbirds and shore birds are doing their dances so you can photograph them along the shores of Lake Yaxha. So plan a lake waterbird and shorebird tour while you also head to the Classic and (Yucatan style) Post Classic Mayan temples on Topoxte Island. Parque Nacional Yaxha Nakum Naranjo has birds of every size, color, and species. Plus lots of Mayan palace architecture, ballcourts, pyramids, acropolises for you to explore. 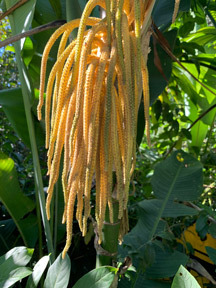 If you visit our www.Maya-ethnobotany.org you can see the gorgeous tropical flowers in this paradise of exotic plants. Hotel Ecolodge El Sombrero is available at entrance to the park. You can reserve a lancha at this hotel to take you birdwatching in the early morning (when most birds are available). However you can also see waterbirds later in the morning. 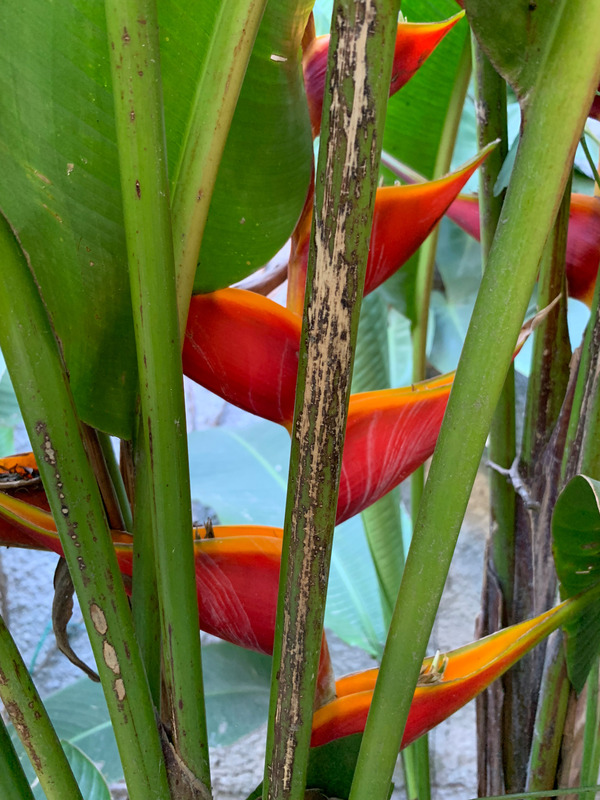 During testing these two smartphones at Parque Nacional Yaxha Nakum Naranjo (Peten, Guatemala, Central America) I noticed that the colors recorded by the Apple iPhone Xs remind me of the colors of Kodachrome film many decades ago. The colors produced by the Google Pixel 3 XL are comparable to Fujifilm color (slides). 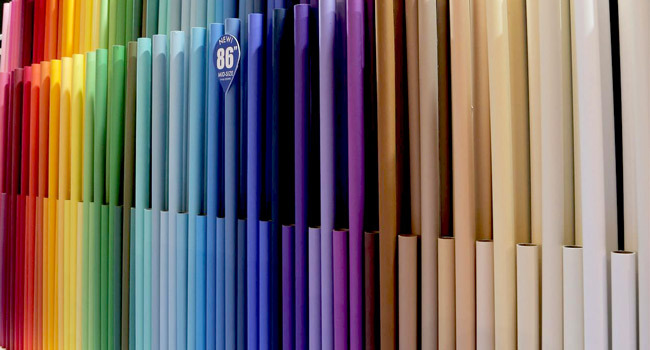 So it depends on what level of color you (or your client) prefers. 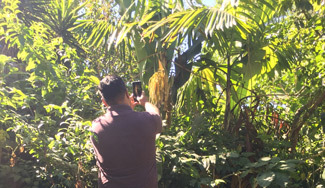 We (Nicholas Hellmuth with the iPhone Xs and Juan Pablo Fumagalli with the Google Pixel XL) then spent three days testing these telephones for panorama photography out in the Mayan rain forests of Central America. The stabilizer I bought turned out to be more harm than good; most brands hold the phone only horizontally and if vertically the camera lens should be in the middle, not on the left of the turning axis). So we got better panos with no stabilizer. This panorama photo shows a unique morning glory vine eco-system on one side of Rio Ixtinto, not far from Topoxte Island, Lake Yaxha. Every inch of the ground and every bush is complete covered by morning glory vines. 98% are one species; 2% are a slightly different color (that we estimate may be a different species, or a variation). Photograph by Juan Pablo Fumagalli taken with the Google Pixel 3 XL, as part of a test comparison between the iPhone Xs and Google Pixel 3 XL. Parque Nacional Yaxha Nakum Naranjo, January 2019. The iPhone Xs panos were awesome quality, as were those of the Google Pixel 3 XL. Benefit of the Google is that you can do two rows so you have a higher photograph. On our next field trip we will do more test panos to suggest various techniques: for example, is the resulting pano more sharp if the phone is on top of a tripod (even if you are turning it with your hand and not the tripod). We would also like to compare the iPhone Xs, Google Pixel 3 XL with panos from a NOVOFLEX pano tripod head system featuring a Sony mirrorless camera: if you want to do a photo exhibit with your photos 2 meters high or 3 meters long, a smartphone is not yet there. GigaPan could do 10+ meters long, but the company went belly up in 2013 and the replacement battery chargers are utter low-bid junk. But as soon as we can find a battery charger (and batteries that hold the charge) we will also continue to utilize the GigaPan. Panoramic photo by Juan Pablo Fumagalli taken with the Google Pixel. But in the meantime, a Sony + NOVOFLEX panorama VR-System PRO II will allow us to document that “don’t stop buying digital cameras just because the iPhone Xs and Google Pixel 3 XL are so easy to use.” We started doing panorama photography with a BetterLight tri-linear scanner circa 1998: 29,000 individual pixel rows (because Photoshop in those days could not handle more than 30,000 pixels or whatever). 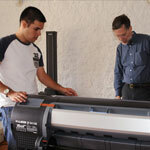 We enlarged these to 5 meters long; other BetterLight photos we have enlarged to over 15 meters long (about 16 yards). And don’t forget medium format quality: Phase One with Capture One software. So as soon as we get more equipment we have the jungles of Guatemala waiting to be photographed (I first photographed these Mayan area rain forests in 1961 in Tabasco and Chiapas, Mexico; then 1963, 1964, and 1965 in Tikal, Peten, Guatemala: all with Leica in that century). At age 19 I was living in the rain forest for 12 straight months; at age 30-ish for several months each year for five years! Apple iPhone Xs vs Google Pixel 3 XL Can mobile photo cameras beat point-and-shoot cameras? Last year the Huawei P10 camera was so good we threw away our other phone brands. Then the Apple iPhone Xs came out: it was so good I threw away all my point-and-shoot cameras (literally). Now the Huawei Mate 20 Pro is out, in theory with Leica lens quality. And our technology manager at FLAAR Mesoamerica, Paulo Núñez told me about the Google Pixel 3 XL. 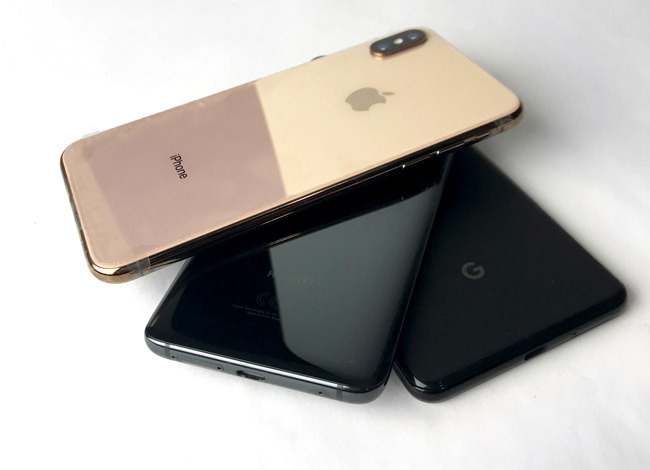 So our long-range goal is to test the Apple iPhone Xs vs Google Pixel 3 XL vs Huawei Mate 20 Pro (as soon as we have one available). In the meantime, here are samples of the Apple iPhone Xs vs Google Pixel 3 XL. The photos are in the FLAAR Mayan Ethnobotanical Research Garden, Guatemala, Central America. Presently we use the absolute top model of Nikon and the corresponding yet different top model of Canon. We would enjoy testing a Leaf or a Phase One medium format digital camera and Capture One software (as soon as these are available for long-term evaluation). But in the meantime, here are the mobile phones which are spelling the end for point-and-shoot cameras. That said, I would like to test a good solid Sony point-and-shoot with a nice telephoto capability: telephoto capability is weak on cell phone cameras. Photo by Josefina showing the Google phone in use. She used an iPhone 6.
iPhone Xs camera in use. To see complete comparison, click here. To see results of plants taken with Nikon D810, Nikon D5, and Canon EOS 1DX Mark II, see: www.maya-ethnobotany.org and www.maya-archaeology.org. To see photos of insects and waterbirds of the remote Mayan rain forest areas, taken with high-resolution cameras, see: www.Maya-ethnozoology.org. During over 2 decades we have used and written reviews on digital photography camera and tripod heads for panorama photography. Now, in 2018 going into 2019, we are back in the world of panorama photography out in the tropical rain forests of Guatemala. 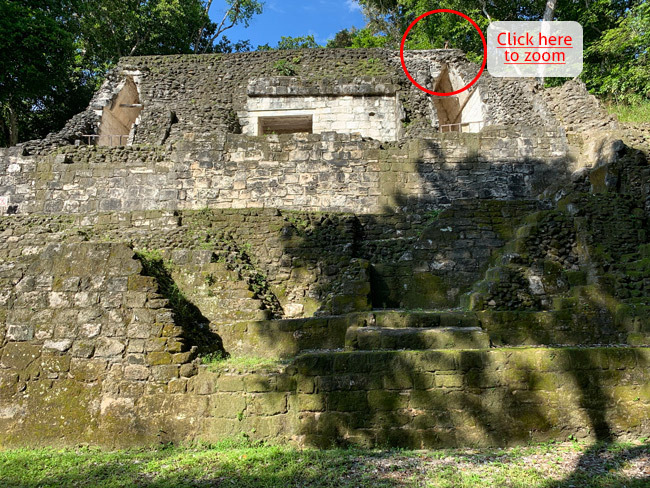 We are doing panoramas of the jungles that you see when you climb up the Mayan pyramids and temples. And we are doing panoramic photographs of the pyramid-temples, palaces, acropolises and plazas. For all kinds of panorama photography it helps if you have appropriate equipment specifically made for achieving good panoramas (in other words, don’t try to jerry-rig miscellaneous tripod heads if you wish to achieve serious panoramas). We started this year with an aging but awesome GigaPan: impressive technology but the company collapsed in 2013 so the replacement batteries and replacement battery chargers are junk made in China. 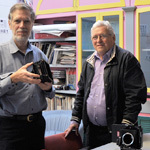 The original GigaPan was from NASA and Carnegie Mellon University, so remarkable technology. Until we can get batteries which hold their charge, we are switching to L-shaped tripod head accessories. You need an L-bracket to hold your camera vertically. If you have no L-bracket, your camera is horizontal so your panorama is too small top to bottom (unless you use a wide-angle lens which distorts everything you are trying to photograph). Manfrotto 303PLUS panoramic photography head system using a Manfrotto 300N pan rotational unit. The sliding plates are to help you achieve nodal point positioning for your lens. Into this Manfrotto 303PLUS panoramic photography tripod head we put the Bogen 3288 (Manfrotto 340) L-shaped bracket. This way the camera can be vertical to achieve an ample panoramic photo height without needed to use a lens so wide that it distorts everything. Although this unit is solid enough to hold any DSLR camera, it is best if you have a mirrorless camera such as the Sony alpha series or the new Canon mirrorless or Nikon mirrorless systems. But none of these lightweight digital cameras existed with this Manfrotto panorama photo tripod head system was made. Our present L-bracket system is the Bogen 3288 (Manfrotto 340) that we show here. At Photokina 2018 we spent time in the NOVOFLEX booth since they specialize in panoramic camera tripod head accessories. But since we do not have a NOVOFLEX L-bracket system yet, we are evaluating and writing about the Bogen 3288, Manfrotto 340 L-bracket on the Manfrotto 303PLUS panoramic photography tripod head system. Senaida (camera assistant on field trips and plant researcher and graphic designer back in main office), Gaby (camera assistant), Shaila (teaches us that kids also like to visit Yaxha), Ricardo (park ranger helps with equipment), Pedro (plant assistant and helps carry the equipment), Alex (park ranger) Teco (Moises Daniel, bird, orchid, and plant specialist at Yaxha for 16 years who also assists in carrying the equipment where 4WD can't pass), and a very happy Dr Nicholas since there are so many awesome vines, bushes, water plants, shore plants, giant trees, and photogenic mushrooms to learn about every day. This national park is definitely worth visiting. Our equipment consists of: Canon EOS 1D X Mark II camera, plus 5x macro and 180mm tele-macro lenses, plus 300mm telephoto. All eight are Canon lenses: we never use an after-market lens on our Canon. Since we evaluate 35mm DSLR cameras it is essential that we have more than one brand, so we also have a Nikon D810 and Nikon D5 camera. We would like to try out Sony mirrorless cameras with their new SAL 500mm f/4.0G telephoto lens (since sometimes it's more more practical to hike long distances with no tripod; you can move the camera much faster if you don't have to set up a tripod. That said, we prefer to use tripods on 90% of our photography. 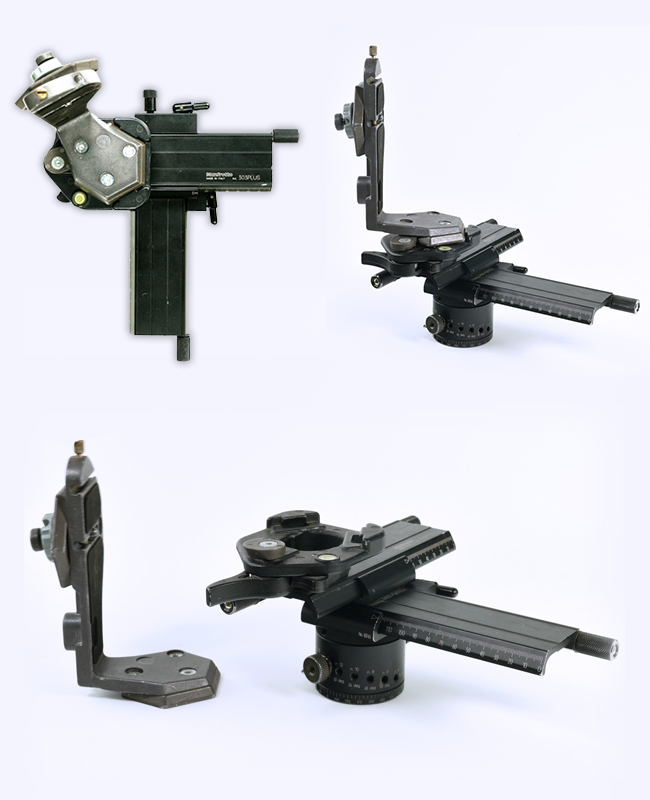 We have Novoflex macro and panorama equipment (but would like to evaluate the L-positioned system of Novoflex). We have a diverse range of macro lighting: three ring lights, and several other macro light systems. We recently added a remarkable Broncolor Siros 800 L WiFi/RFS 2 with wireless accessory for the Nikon. If you are photographing orchids, bromeliads, or monkeys high in the jungle canopy this Swiss-made lighting is essential. We have five Gitzo tripods; we use only Gitzo since they last for decades (some of ours are over 40 years old). Plus of course we have light reflectors (but not much sunlight under the jungle canopy). We have plant clamps and a diverse range of accessories (since we have been doing this kind of photography for decades). If you would like to learn from Professor Hellmuth in-person, if a donation can cover the cost of a one-week field trip for the FLAAR team, you are welcome to fly yourself down and join us. The hotel Ecolodge El Sombrero is at the entrance to the park and is comfy at a reasonable cost for you. We can explain how to get to Yaxha to join us. Donations to FLAAR are tax deductible. We also do bird photography, focused on waterbirds of Lake Yaxha and adjacent Rio Ixtinto. Plus of course there is all the archaeology of Yaxha. Now, with Mirrorless cameras from Nikon and Canon (visible to the world at Photokina 2018), what is the future for Sony mirrorless? I started with Leica (in 1961) and kept using Leica cameras and Leitz lenses until 1990’s. In those years Leica was 1000% better than any other brand. But in subsequent years Nikon achieved professional quality, and I got a Nikon camera and 15mm wide-angle lens for less cost than just a Leitz 15mm lens. 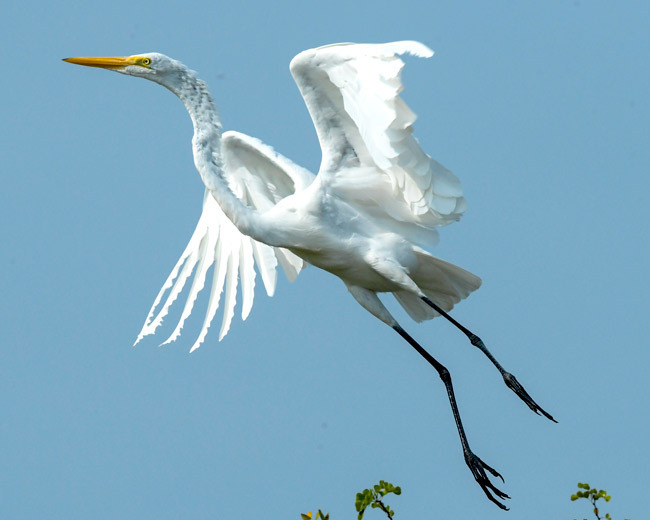 I now have Nikon D810 and Nikon D5: awesome digital technology for photographing birds-in-flight. I did not sample a Canon until a few years ago; tried several models and now have a Canon EOS 1DX Mark II. To write honest reviews, you need to actually have more than one brand. But any Canon camera and the Canon EF 180mm f/3.5L Macro USM lens requires a fork lift truck to carry: this lens alone “weighs a ton.” So if I want to hike through the tropical jungles of Yaxha to photograph a bird or animal before it disappears, there is not time to set up a tripod. I need a camera and lens all together, ready to fire. The Canon is too heavy (even with a smaller camera, the lens is far far too heavy). So the Sony 400mm f/2.8 GM OSS prime telephoto lens may cause me to stop using Canon cameras and Canon lenses the weight of a cement block, and jump to Sony, either an A7 III or the more elite Sony A9, or, the Sony A7R to capture 42.4 megapixels. 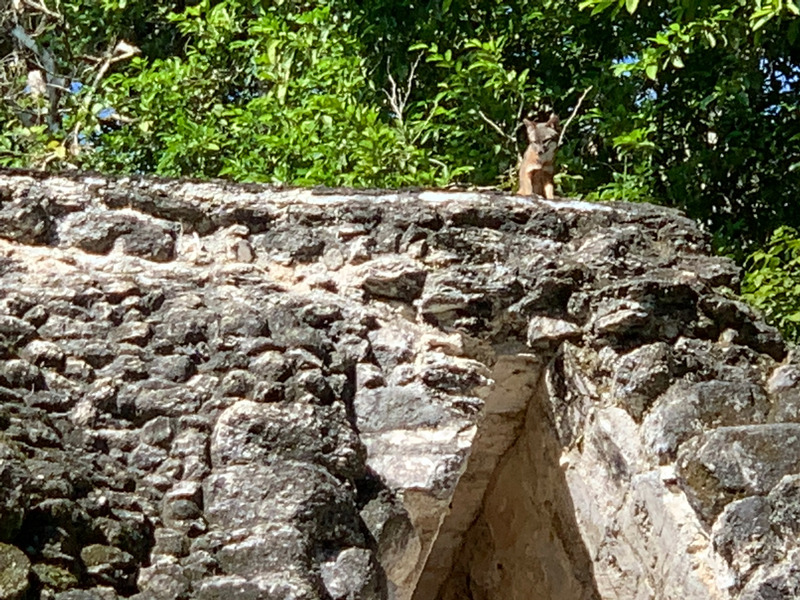 Last month, while walking through the 8th century Mayan palaces, pyramids, and temples of Yaxha (Peten, Guatemala), I noticed a cute fox resting on top of a palace, looking down at me. I did a quick zoom with my iPhone Xs, and captured the second image. BUT, if I had a Sony A7R and their new Sony 400mm f/2.8 GM OSS prime telephoto lens, I would have been able to capture an image of the fox at high resolution. I lived at Yaxha for five years (while mapping the site 1970-1974) and then have been photographing for the park administration every month since August 2018. But this is the first time in half a century that I experienced a fox watching me. So a pity that I did not have a Sony mirrorless camera and their new lens. As soon as a Sony mirrorless camera and the awesome 400 prime Sony telephoto lens is available, we can compare it with our older Nikon and Canon traditional cameras as we continue to do photography every month in Parque Nacional Yaxha Nakum Naranjo. 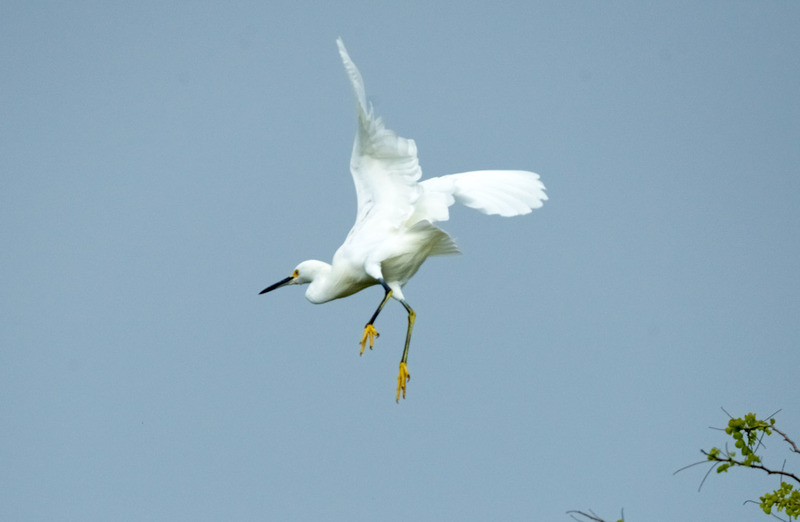 This is a Snowy Egret, Egretta thula. Several are visible each month (August, September, October) that we have taken a boat tour of the south shore of Lake Yaxha (towards the islands of Cante, Topoxte, Paxte). We will be back in November, December, January and onward, to do more photography of the waterbirds of Parque Nacional Yaxha Naranjo Nakum. 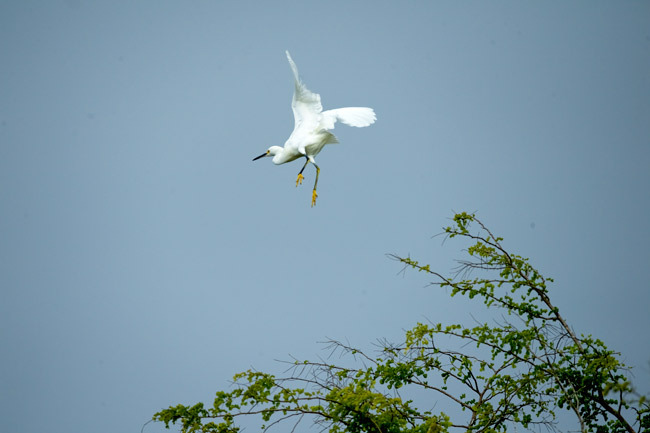 To stop a bird in flight it helps significantly to have a camera that can utilize high ISO without making the photo fuzzy. It helps to have the speed at 1/2000th or up to 1/4000th of a second (which is why you need high ISO). Many birdwatchers use wide-open f/stop. I prefer at least f/8 or f/10. It is also essential that burst speed shots does not slow down or even stop your camera processing system: Nikon D5 accepts only special memory cards made specifically for high speed. Canon EOS 1DX Mark II accepts one fast memory card but also one older style normal one. Helps to have a sturdy Gitzo tripod and a Wimberley WH-200 model gimbal head Version II. Photo by Nicholas Hellmuth, FLAAR, www.Maya-ethnozoology.org, Nikon D5, 800mm, f/5.6, 1/4000, ISO 500. Shot at burst speed. Since the bird was flying away from the camera I am not sure why it is even halfway still in focus. Our telephoto lenses are new and I am getting used to them. There are enough waterbirds, shore birds, and of course toucans, raptors, parrots, hummingbirds at Parque Nacional Yaxha Naranjo Nakum to stay one or two nights. Ecolodge El Sombrero hotel is at park entrance and offers boat trips for bird watching (and to visit 8th-14th century Classic and Post Classic Mayan temples and palaces on Topoxte Island). Flowers of every size, shape, and color will be waiting for you to photograph along the shore (even aquatic orchids were flowering last week). 500mm, 600mm or 800mm prime telephoto lenses are best. Of course if you prefer just to enjoy seeing the birds then your binoculars are plenty to enjoy Lake Yaxha and Rio Ixtinto. Parque Nacional Yaxha Nakum Naranjo is a beautiful peaceful place to experience waterbirds, toucans, raptors, and my absolute favorite bird: the boat-billed heron. 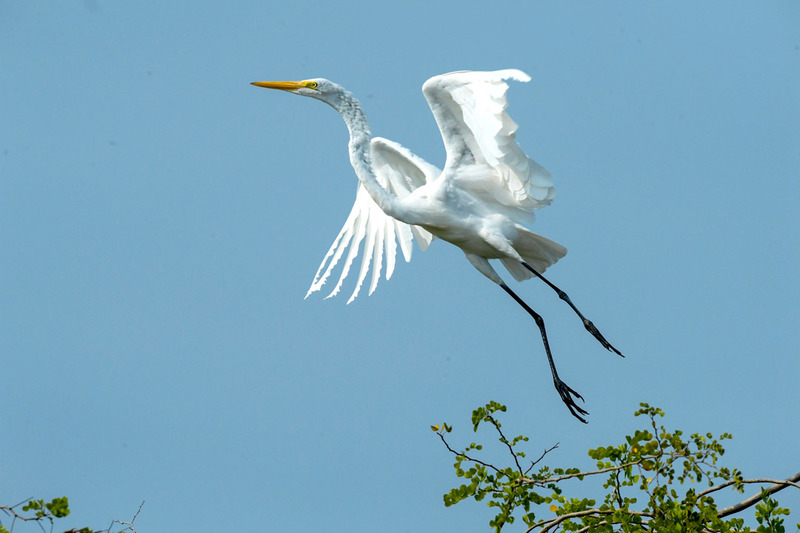 But for impressive majesty of a bird taking off in flight my favorite is the great white heron (seen here, above). 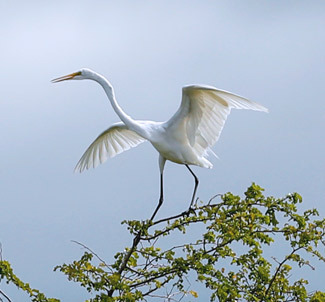 This bird is also called the great white egret. To achieve good bird photography it helps to have good equipment: solidly constructed (not low-bid cheap copy-cat). 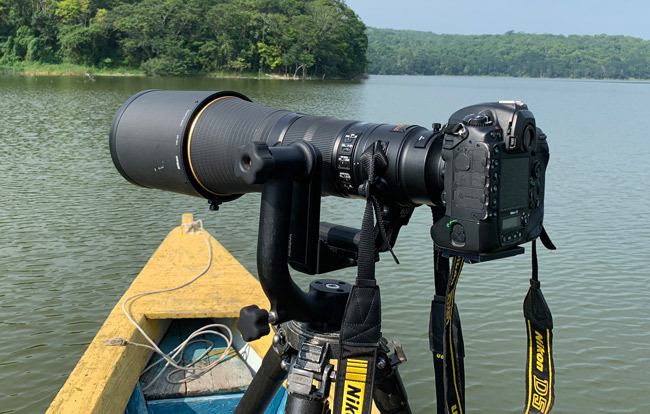 We use Nikon D5, Nikon AF-S Nikkor 600mm F/4E FL ED VR prime telephoto lens, Wimberley WH-200 Gimbal Head Version II on a Gitzo G1548GT Mk2 Carbon Fiber tripod, boat to cross Lake Yaxha courtesy of Ecolodge El Sombrero hotel, Yaxha, Peten, Guatemala. 50+ years ago, while a university student at Harvard I used a Tiltall tripod and Leica cameras. 40+ years ago I switched to Hasselblad cameras and experienced my first Gitzo tripod. Today, in 2018, we have three different models of Gitzo tripods. It helps to have a sturdy tripod to hold the weight of a Nikon D5 digital camera and the 600mm telephoto bird lens. Click here to enlarge image. Here is the Gitzo tripod and Wimberley gimbal (and Nikon D5 camera with 600mm lens) that took the bird photo shown above. 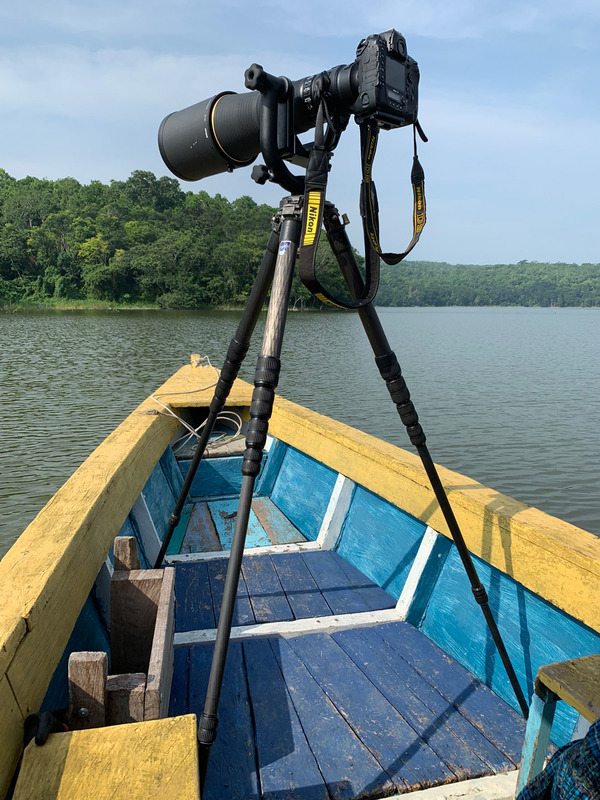 The birds of Lake Yaxha are so photogenic it really helps to have appropriate equipment. You can frame your photos for your home, office, or for giclee fine art prints for friends. This snapshot (with an iPhone Xs) shows the Gitzo G1548GT Mk2 Carbon Fiber tripod and the most recent model of the Wimberley WH-200 gimbal tripod head II, to hold the weight of a Nikon D5 (top of the Nikon line) and Nikon AF-S NIKKOR 600mm f/4E FL ED VR telephoto prime lens. We are in Parque Nacional Yaxha Nakum Naranjo, making a photographic inventory (to donate to the park administrators and to Guatemalan botanists and zoologists) of all waterbirds in the park. We are also working in this lake, swamp, river, and hilly area to find and photograph pollinators and other important flora and fauna. Consider visiting this awesome national park in Central America. I lived here for several months a year during 1970-1974 and now have returned to be here one week every month for an entire year (since different birds fly in, and different plants flower each month). We stay at the Ecolodge El Sombrero hotel, at the entrance to the park. Boats and information on bird-watching and Mayan archaeology information are available from Gabriella, the owner of the hotel (she has lived here for many decades so knows the orchids, birds, and archaeology of the entire Parque Nacional Yaxha Nakum Naranjo, including Topoxte Island). Dr Nicholas Hellmuth doing some research at Novoflex booth. 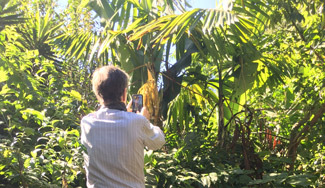 Dr Hellmuth is heading the new photography project at Parque Nacional Yaxha Nakum Naranjo to document all the awesome plants and animals there. 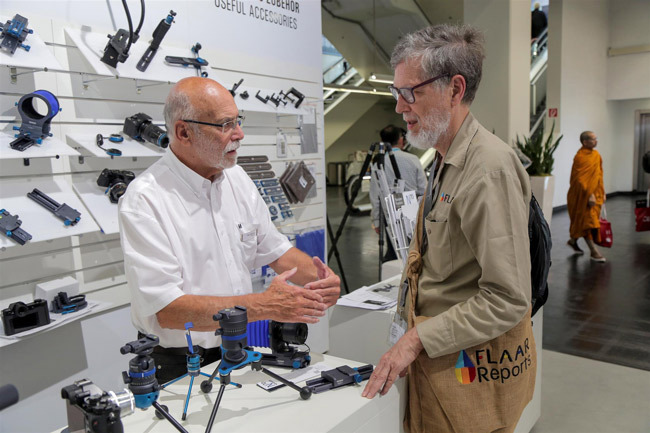 Two days at Photokina 2018 (Sept 26 and 27) allowed two of us from FLAAR (USA) and FLAAR Mesoamerica (Guatemala) to learn a lot. Dozens of brands were no longer present but if Elinchrom studio lighting booth was missing then I found everything I needed at the broncolor booth. If Arca-Swiss was had no booth whatsoever exhibiting their over-engineered and frankly impractical tripod heads, then you can find plenty at the Novoflex booth. I did miss the Seitz booth because I wanted to test their panorama system but Novoflex had plenty of different options. And of course all the giant brands were present: Canon, Nikon, Sony, Sigma and more. Mirrorless cameras were everywhere, as were medium format digital options: more on all this in subsequent comments. Click to enlarge Savage booth. 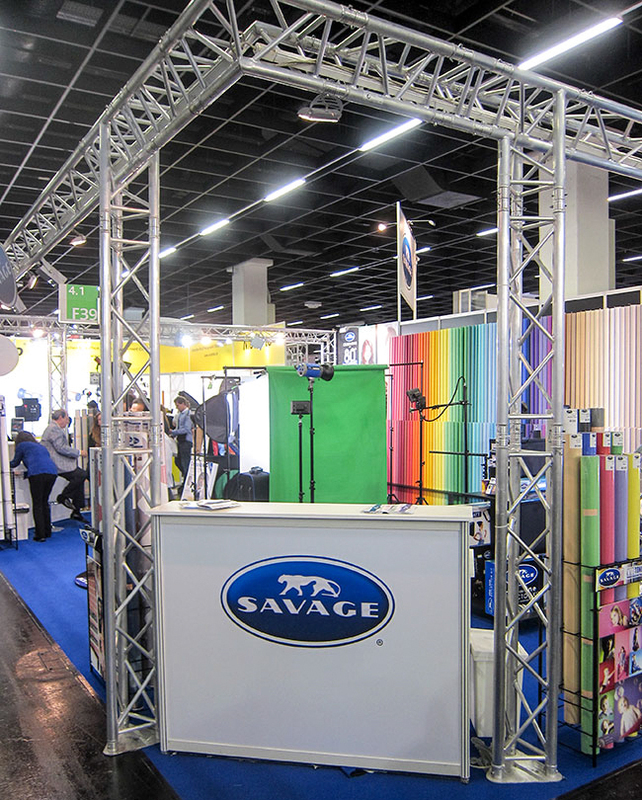 We enjoyed visiting the booth of SAVAGE Universal Corporation; they continue to offer far more than their original backdrop material (which we have used and recommended for over 30+ years). You can have as a free download our Photokina 2016 report with recomendations, comments and brands who were present. Also with photo studio equipment exhibited and digital camara reviews. 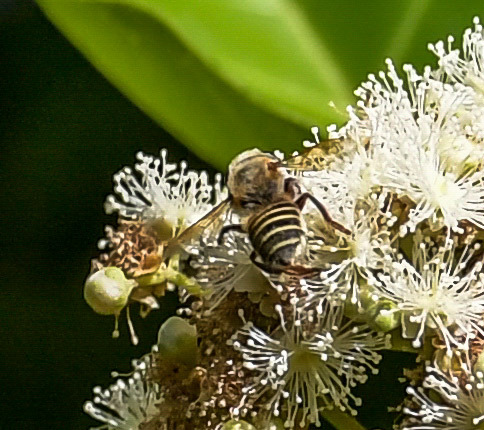 Photographing a tiny bee with a 600mm lens? Click here to ENLARGE the bee. Nikon D5, AF-S NIKKOR 600mm f/4E FL ED VR lens, f/4.0, ISO 1000, 1/1600 sec. While a guest at hotel Ecolodge El Sombrero, outside the nice park at Yaxha, Peten, Guatemala, I noticed that an allspice tree was flowering near the hotel restaurant. The leaves provide a tea that I am familiar with from having lived 6 years in Peten (12 months as student intern in archaeology at Tikal in 1965; 5 seasons during five years in 1970’s as founder of the Projecto Yaxha which created the national park and mapped the Mayan ruins together with archaeologist Miguel Orrego). Pimienta gorda is sold in all supermarkets in Guatemala and in most supermarkets in USA (as allspice, a single spice with flavors of multiple spices). Since the trees were high, and since they were on the other side of the hotel garden, I decided to use a 600mm prime telephoto lens to capture images of the flowers. Much to my surprise, when we enlarged them there was a visible bee feeding on the flowers. Graphic designer at FLAAR, Melanny Quiñonez, noticed the bee and enlarged it so you can see it. I am surprised at the quality with the lens wide open at f/4.0. This is why it helps to have a sturdy Gitzo tripod with Wimberley WH-200 gimbal tripod head II. Polaroid is comparable; another company has bought or licensed the old name. Polaroid had a booth of acceptable size and had the best design of a bag as a handlout. 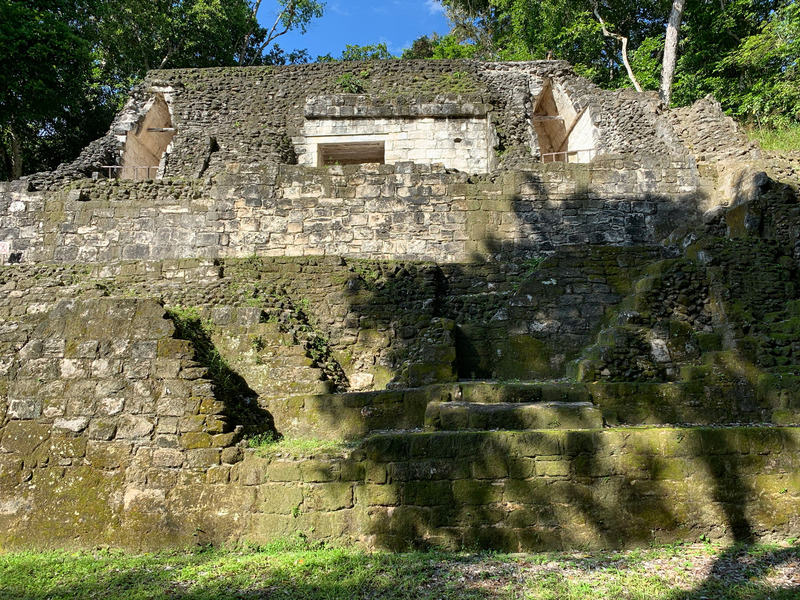 The Parque Nacional Yaxha Nakum Naranjo is a great place to visit for both Mayan pyramids, temples, ballcourts, palaces, and sacbes, plus to experience majestic trees, vines, orchids, and birds. So great place for eco-tourism and birdwatching. To spend the night at the Ecolodge El Sombrero allows you to experience having howler monkeys doing their macho howling for you as a symphony with opera singer. Since the background of FLAAR is from the world of photography, I could not resist visiting CES 2018 to see what photography brands and products were available. Of course the real reason for visiting CES is to see and experience what will be new in the future. Nonetheless, I also still do digital photography of flowers, birds, landscapes, Mayan house architecture, cave formations, etc. Canon and Nikon had large booths. Both Canon and Nikon booths had all their cameras and all their lenses. Although their booths at CES were not as large as at Photokina in Germany, their booths at CES were plenty big enough, and well staffed with hospitable helpful staff. “Kodak” had two booths (in different halls); one two stories and of ample size. I say “Kodak” since many people feel that it is companies which have bought rights to the bankrupt name, but are not really the original Kodak other than the licensed name. 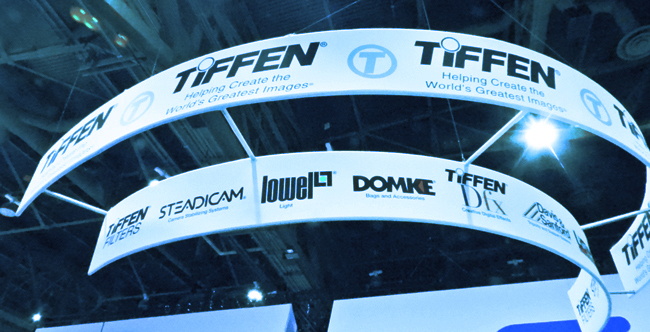 Tiffen is still the original Tiffen; they had a booth of all their brands: lowel lighting, STEADICAM, zing and lots more. There were many booths with virtual reality equipment; the list above is for traditional photography brands. No Pentax, no Olympus, no Leica, no medium format (so no PhaseOne, no Hasselblad). There were many booths with 360-degree cameras such as VUZE (Human Eyes). During CES also had a meeting with a knowledgeable and experienced Photokina representative Darrin Stern, Director of New Business Development. I have attended Photokina since circa 1998 and feel there are literally thousands of people from USA, Canada and all Mexico, Central America and South America who should visit Photokina. But until there are FLAAR Reports documenting what there is to see and learn there, most of the visitors to Photokina are from Germany and nearby. We hope to change that. 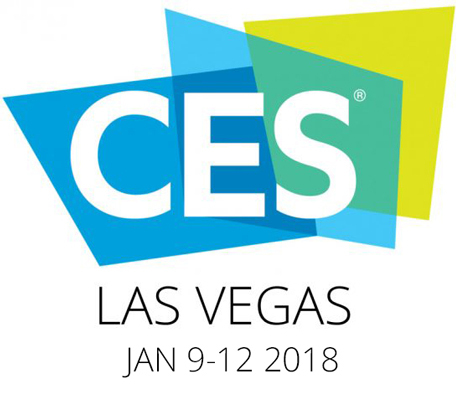 CES, awesome for digital innovation, but zilch PMA@CES? FLAAR Reports also keeps track of digital technology trends, so will be at largest digital expo in the Americas, CES, next week, Las Vegas. Dr Nicholas will be studying 3D, VR; will also visit, HumanEyes, and much more. I had hoped MASSIVit 3D printer company would have a booth; but did not yet find it in exhibitor list. But at least Artec 3D has a booth as do several other 3D companies. Last time I was at CES was when PMA (photo expo) tried to wake up and survive as PMA@CES. But gradually PMA evaporated no matter what. The only digital photo related companies I found so far at CES are Canon, HumanEyes, Kodak, Manfrotto Distribution and Carl ZEISS (Zeiss Multimedia Devices). All the more reason to attend Photokina in Cologne this autumn. Surprised to see AnaJet in the exhibitor list since they have been missing from most sign expos since bought by Ricoh. Ricoh also listed. I will also visit Indiegogo and Mattel. Sun Innovations is listed; will be curious whether this is the once worldwide Russian printer and ink company of Novosibirsk. 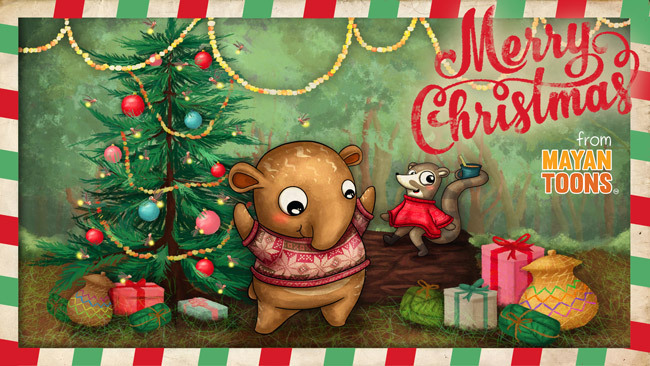 There is also a growing team of illustrators and graphic designers who do educational children’s books (to show the world the remarkable plants and animals of 2000 years of Mayan civilization in Guatemala, Mexico, Belize, Honduras, and El Salvador). 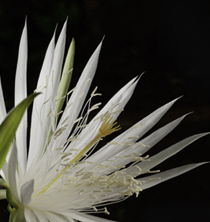 To experience remarkable tropical flowers of Guatemala, enjoy our www.maya-ethnobotany.org. To experience remarkable animals of Guatemala and mayan culture, enjoy our www.maya-ethnozoology.org. To see our newly launched cartoon book web site, look at our www.mayan-characters-value-based-education.org. Here you can see a video of Dr Nicholas interacting with a 350 pound tapir and her spotted baby. We are considering testing digiscoping system featuring Leica APO-Televid spotting scope models. We evaluate digital photography equipment for over a decade. 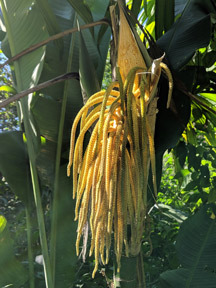 Now we are ready to test and evaluate a digiscoping system because even a 400mm and 600mm prime telephoto lens can’t capture a “close up” of a flower, rare tropical fruit, high up in a tree across a canyon! Having experience with all three of these prime Nikkor telephoto lenses will allow us to more meaningfully evaluate a Leica digiscoping system. We waited since the ones available last year were not for full-frame format. We have a Canon EOS 1DX Mark II, a Nikon D810 and a Nikon D5. I have a high respect for Zeiss lenses. The original Made in Germany Zeiss lenses for my Hasselblad ELX cameras still work today (more than I can say for these models which Hasselblad abandoned; can’t even get batteries for them any more). But Zeiss lenses, most of them at least, are no longer made in Germany (though fortunately not made in China). Kit lenses of Nikon, Made in Thailand six or more years ago, have been cheap junk, though professional Nikkor lenses Made in Japan last for decades. The Zeiss lens shade for my relatively new Zeiss Makro-Planar 2/100 ZF.2 100mm lens no longer clicks into place on the lens. Nor does it click into place when you try to pack the lens away. Not what I expect for Zeiss. Zeiss Makro-Planar 2/100 ZF.2, serial # 15825847. It is impossible to even tape the sun shade onto the lens since this lens has to turn when focusing (since all these Zeiss lenses are manual, not auto-focus). I will be writing Zeiss today to ask for a replacement and filing a complaint in appropriate places because this is what you expect from a lens made cheaply. And not what I expect from a lens shade made in Japan either. I assume it is something on the lens shade, but since I do all my photography in the jungles of Guatemala, it is not easy to return an item for repair, especially since I work as a consultant for wide-format inkjet printer trade shows in Shanghai, Istanbul, Dubai, and Johannesburg, plus was in Taipai last month (the Zeiss lens went to zero of these locations since I use my DSLR cameras only in Guatemala). So I am almost never at my desk, but when I saw how many photographers had problems, this raised alarms. Thousands of people around the world read FLAAR reviews of digital equipment because we are not a commercial PR whatever, and we actually use the equipment we write about. Since we do not ask for kickbacks, our readers realize they are more likely to get the truth from Dr Nicholas’s comments than from a commercial blog. 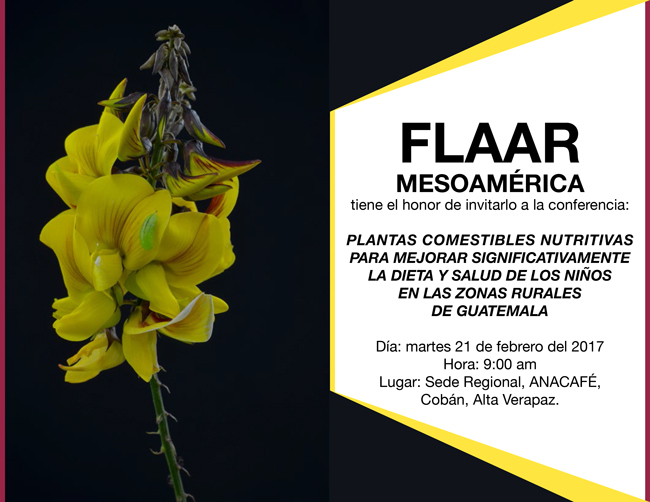 This conference is made to present the importance of nutrition among Guatemalan children, especially in rural areas, and the health benefits that this can have in the Mayan society. You can download the formal invitation in the link above. Here we are holding the newly arrived products from SAVAGE which we will evaluate. 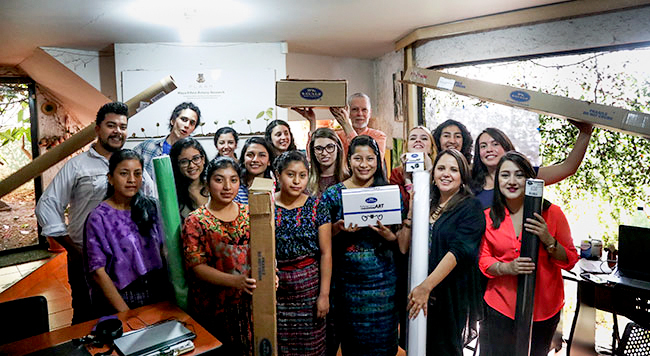 Front left: Four Mayan-speaking student interns help us write children’s books on the plants and animals of Guatemala. Twelve university students do the illustrations for the children’s books. Dr Nicholas (Hellmuth, in the back), writes the storyboards (based on being in Guatemala over 54 years). Ten other staff work also work at FLAAR Reports main office including several photographers. We saw Richard Pressman (Chairman) and Richard Memoli (VP Sales) in the booth at Photokina 2016. In previous years we have also met Syl Hank (President). Here is the professionally designed booth at Photokina 2016. 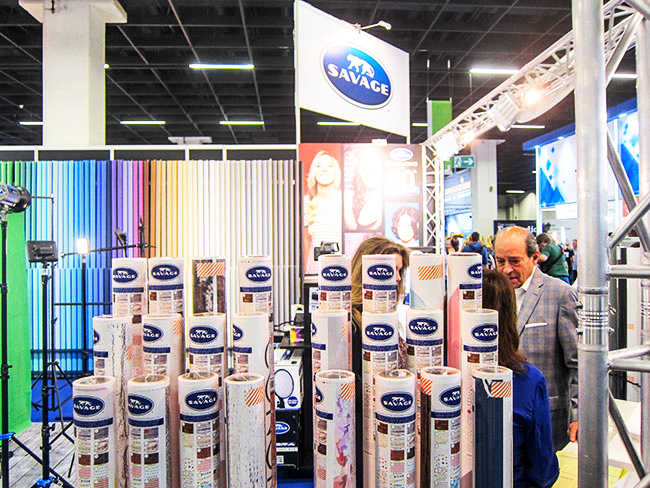 We at FLAAR have preferred the backdrop paper from SAVAGE for over 20 years. 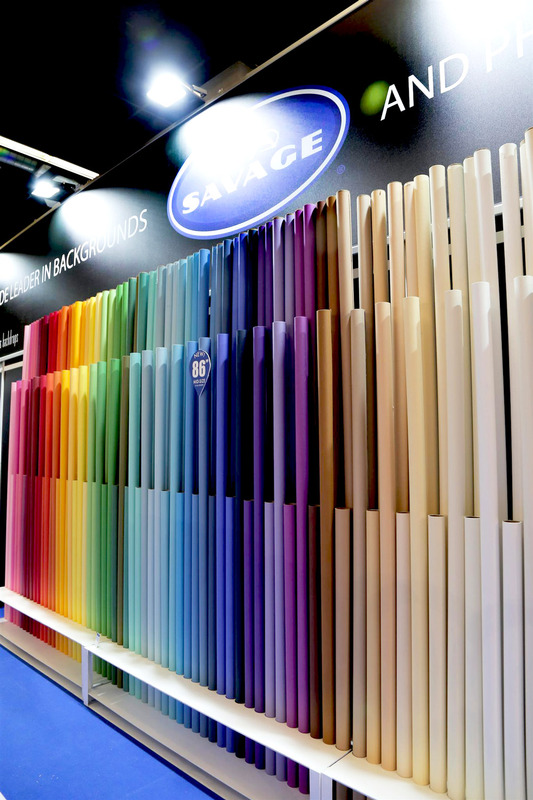 We appreciate the shipment of Widetone Seamless backdrop paper from Savage Universal Corporation. Plus two rolls of vinyl, a background material we have not used before. Some of the things we photograph are from the rivers or lakes, so paper gets stained with water. So we want to try vinyl in these situations. Also we have received to evaluate the MacroART Variable Auto-Extension Tube, and the Macro ART Adjustable Dual Arm LED light system (two lights). We will be posting more information on the advantages of this equipment during the coming year (2017). In the meantime, you can learn more about the diverse range of products available from Savage from their web site www.savageuniversal.com. We also find it useful to visit their stand at photography trade shows; we recently were at their stand at Photokina 2016. Most recently updated July 26, 2017. Previously updated April 3 and January 5 ,2017. Previously updated Feb. 13, 2017. Previously updated December 9, 2016. FLAAR Reports evaluate and review 35mm DSLR, compact digital cameras, and point-and-shoot-digital cameras for underwater photography. We comment on the underwater housings that were NOT satisfactory, as well as what better underwater housings we look forward to testing next. 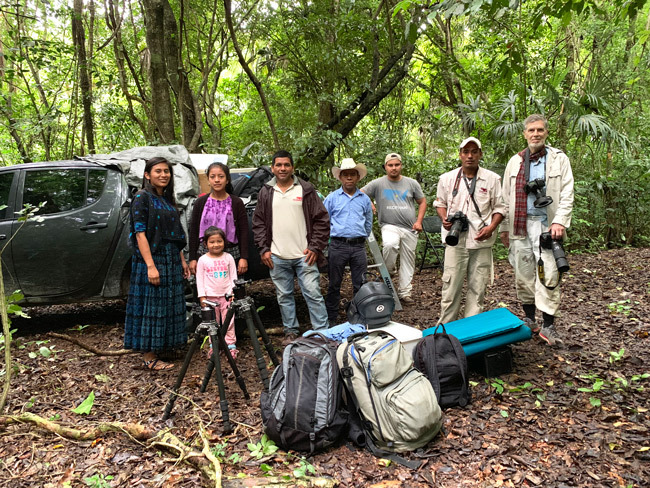 Nicholas Hellmuth and his photography equipment evaluation teams will be testing portable flash in caves and out in the jungles of Guatemala, Central America. We have a preliminary report on studio flash and portable flash from Photokina 2010, but as soon as we acquire additional equipment, we will issue more test results as full-color FLAAR Reports. Nicholas Hellmuth with the FLAAR photographic equipment during the shooting session at La Ruta Maya Foundation. We had an HP Z3100 but prefer to evaluate the more recent model, so we are now evaluating the HP Z3200. For architectural cameras there is the Sinar arTec, Arca-Swiss, Alpa, Linhof TECHNO, Silvestri and several models from Cambo. This week we visited Cambo camera world headquarters and inspected how these cameras are manufactured. Three of us from FLAAAR were at Photokina and there are now five FLAAR Reports on all the digital cameras and studio equipment that we inspected. Comparative evaluations of all panorama camera and software technologies will be focus of FLAAR Reports for digital camera reviews in 2011. FLAAR is one of the few institutes in the world with both a Better Light Pano/WideView panoramic system, a third-generation GIgapan Epic pro, Novoflex pano tripod head system for medium-format (Phase One) panorama photography, plus a 14mm Canon and 15mm Nikon non-fisheye ultra-wide angle lens (for landscapes and cityscape photography). Join the over 3,433 wide-format inkjet, digital imaging, signage, and related individuals worldwide who are linked to FLAAR Reports via Dr Nicholas Hellmuth.